Man Overboard Bluetooth Wristband - Sea Tags - Save your life with your smartphone! We generally ship via USPS Priority Mail. Most destinations in the US (including USVI's and Puerto Rico) will see their package in 3 to 5 days. USPS packages also ship to US territories and US APO military addresses in reasonable time frames. US Shipping: We offer flat-rate shipping & handling to the 50 states and territories at only $6.95 per order. The more you buy the more you save. For Puerto Rico, USVI, and other US territories that have a two-letter State designation with USPS, choose United States as the destination country to avoid International shipping charges. Addresses deemed incorrect by parcel delivery services may incur additional delivery time and charges equivalent to postage required for proper delivery. If you would like your order shipped by a specific method (UPS, FedEx, etc) please specify in your order comments and we will update the actual cost of shipping at the time of shipment. *Any returns with a free shipping promotion will have the original price of shipping deducted from the return total. 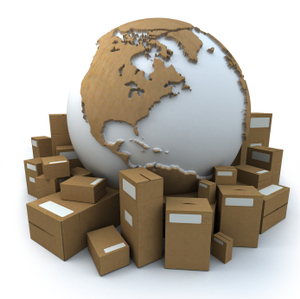 International Shipping: We offer international shipment via USPS International First Class or DHL Worldwide Express. This shipping estimate is based off total product weight, but may sometimes exceed the quoted price. If so, you will be contacted in regards to any extra shipping charges that may occur. All international shipments are sent under Incoterms 2010 - FCA Charleston, SC USA, meaning Marinebeam is not responsible for brokerage fees, duties, taxes, etc. for any carrier. If you wish to name a specific carrier we will gladly accommodate at actual cost. Items heavier than 1.0 kg, or which won't fit into a flat-rate box, may require extra shipping charges. If so, you will be notified of the additional cost after your online order confirmation, but prior to shipment. Generally, we can ship a 1kg package to most places in the world via DHL for about US $40. Tracking and Insurance: Generally, online or point-to-point tracking is not available via postal services in most countries for flat-rate USPS shipments. DHL shipments, however, have good online point-to-point tracking capabilities. If you wish to name a specific carrier, secure insurance for your package, or ship via your account, please let us know, and we will do our best to accommodate you. Shipments are shipped FCA Charleston, SC without insurance coverage of any kind, unless requested and charged beforehand. *Note: Orders flagged as possibly fraudulent will be held until verification of authenticity and we reserve the right to cancel any order if conditions are suspicious.